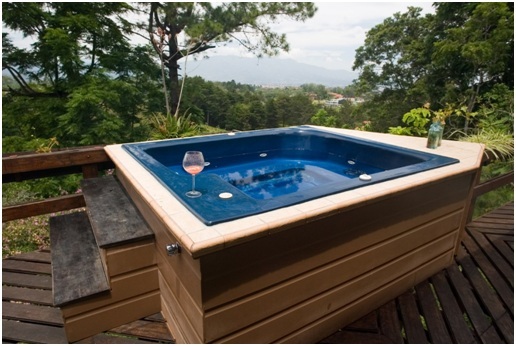 Hot tubs provide the ultimate rejuvenation experience. People love spas because they offer them chances to soak in hot tubs. You can get a hot tub for your home or commercial property. Hot tubs come in so many choices, so you must know what you are looking for. When buying hot tubs in Vancouver, consider your accessories options. The accessories you get for your hot tub will help with its customization. 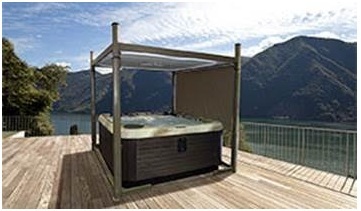 Buying an enclosure for your hot tub is one thing you should take into consideration. An enclosure makes it more enjoyable to use a hot tub. If you are going to place the tub outside, then you have to think about exposure to the elements. You want a tub that you can soak in even when it’s raining. Getting a suitable enclosure will help with that. 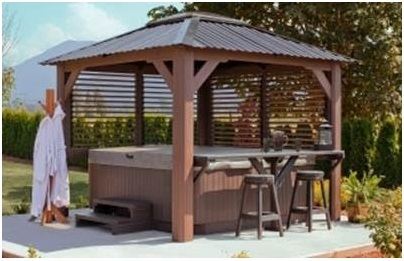 With hot tubs Vancouver, you have various enclosure options like gazebos. A few elements will help you make that critical choice. Consider the size of the enclosure. How big is the space you intend to cover? Of course, you will look at the size of the tub. Then you will have to consider everything else you want around. If you are going to have lounge chairs around the hot tub for when people are not using it then, you will need a bigger space. You can use the enclosure to create a relaxation area for your guest. Leave some allowance when measuring the size of the enclosure you are going to get. The design of the enclosure will also make a lot of difference. You wouldn’t have to worry about ruining your landscape or décor. 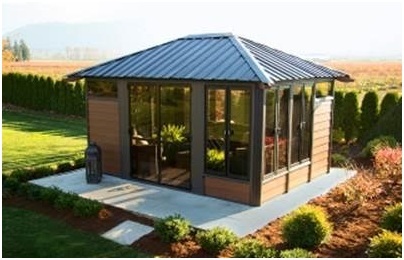 There are enclosure designs that will blend right with your back yard. Look at the different alternatives that a particular manufacturer has available. You would also have to decide whether the enclosure will be full or partial. A full enclosure will provide better protection from the elements. It would be easy to use a tub with a full enclosure at night. You get a lot of privacy as well. A partial enclosure is all about the view. If you have a nice landscape in your yard, you will want to enjoy it while in the hot tub, and a partial enclosure makes it possible. The material of the enclosure will also matter when buying your hot tub from Vancouver companies. Consider where you are going to place the tub when deciding on the enclosure material. Most manufacturers will provide wood, plastic and metal options. Consider the durability and strength of each material. Talk to the manufacturer you are buying from and find out what hot tub enclosure options they offer.